Anyway, the only hitch was that they were a bit too long. If I wore them out of the house they would get dirty quickly because they dragged on the ground. Now, if you like to be active like me, you could destroy these guys pretty quickly, so I knew I had to hem them. I have only ever hemmed woven fabric paints, i.e. 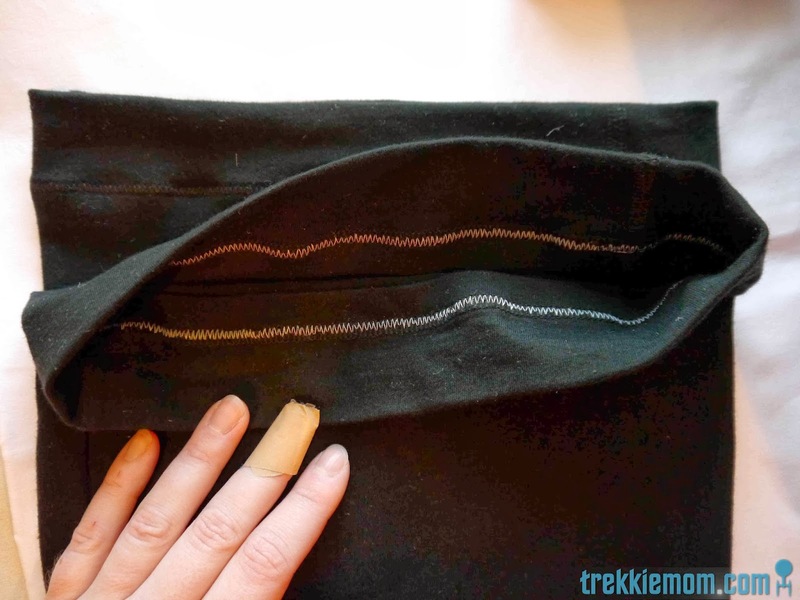 no stretch, and I do not have a serger, so I was wondering how I would achieve this yoga pant hem while preserving the stretch. Well, I decided I would use a zigzag stitch since it was the only stretchy stitch really available to me. I know my machine has different versions of the zigzag stitch, but this is what I am most comfortable with. 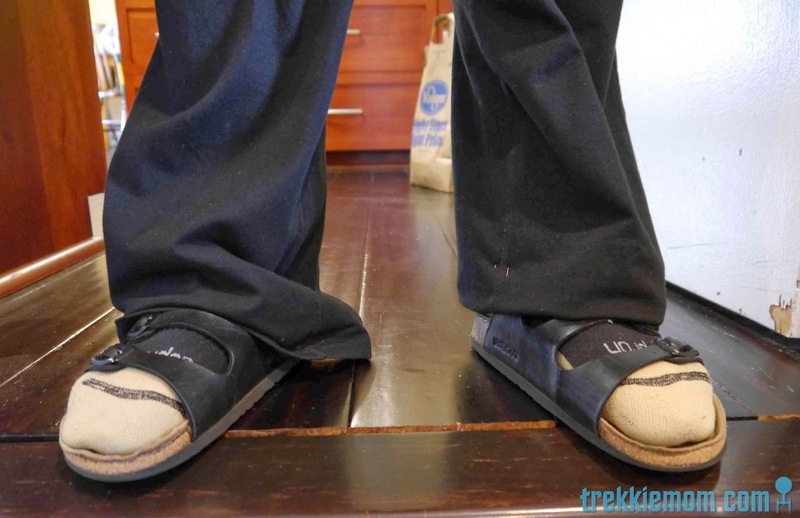 Step 1: Find out how short these yoga pants really need to be. 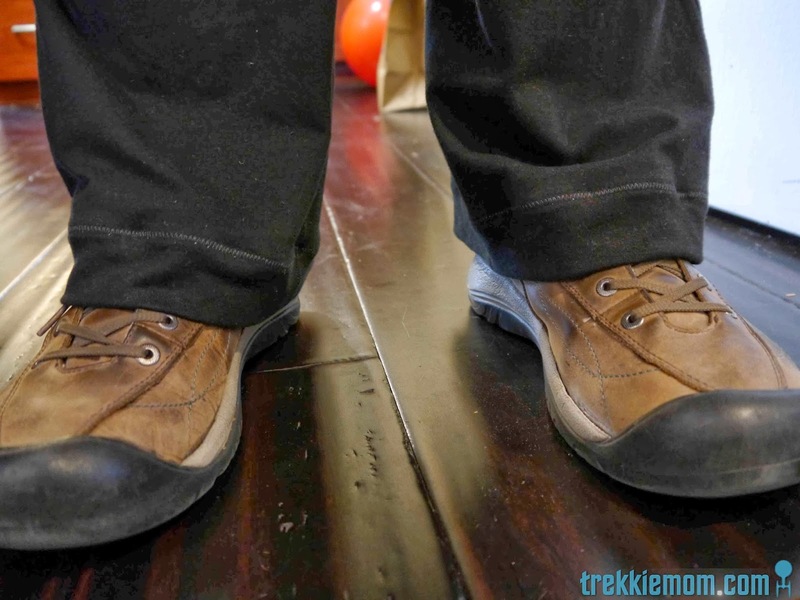 I don't like wearing high waters either. For this pair it was an amazing 2 inches. One of the nice things about finished pants is that you can usually rely on the original hem being correct, so I just measured 2 inches all around and pinned. Step 2: Sew. I used a white thread on the inside so I would be able to see the stitching if I had to take it out and black on the outside. I think it looks pretty good. Despite my best efforts, I still got a bit of a wave, but when you put them on you can't see it. Done. Now that was a fast upgrade.